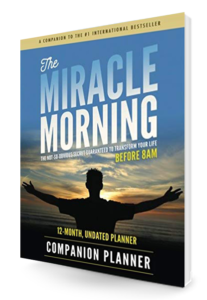 The Miracle Morning: The Not-So-Obvious Secret Guaranteed To Transform Your Life… (Before 8AM) is being widely regarded as “one of the most life-changing books ever written” with 350+ five-star Amazon reviews. And it just may be the simplest, most effective way to create the life you’ve always wanted, and faster than you ever thought possible. If you are a regular in the personal development world, you’ve already heard that anything is possible. Yet “possible” isn’t enough to get you out of bed in the morning fueled with the internal clarity and motivation to tackle your biggest dreams. With Hal Elrod’s next book— this book —he wanted to give you a proven process that would move your success from possible…to probable…to inevitable. From making millions of dollars to overcoming life-threatening health challenges to achieving everything you’ve ever wanted, including simply being happy…there is one timeless, proven formula that the world’s top achievers, in all walks of life, have used for centuries to transcend their limitations and achieve extraordinary levels of success and fulfillment. The Miracle Equation is that formula. As you’ll learn, the Miracle Equation is deceptively simple in its explanation, but extremely rare in its execution. It consists of only two decisions: Unwavering Faith and Extraordinary Effort. The Miracle Morning for Salespeople: The Fastest Way to Take Your Self to the Next Level So That You Can Take Your Sales to the Next Level! There are countless books written for salespeople about various sales techniques: prospecting, generating leads, building rapport, handling objections, closing the sale, collecting referrals, and providing excellent customer service. The list goes on and on. This is not one of those books. Most salespeople use these techniques daily, yet the majority still fail to achieve the results they want. So, what is the difference between “average” performers and the top 1% in your company or industry? Which strategies, mindsets, rituals, practices and systems do the top 1% maintain daily that got them to the top and continues to keep them there? The more you study the world’s top salespeople, in any industry, the more you realize that their success is a result of who they are more than merely what they do. Thus, logic would have it that if you want to take your SALES to the next level, you must first figure out how to take your SELF to the next level (because it only happens in that order). That’s exactly what this book will help you do, and faster than you ever realized is possible. All real estate agents share one thing in common: we’re all striving to get to the NEXT LEVEL of personal and professional success. We want to take our lives, our businesses, and our selves to the next level. What if you could get there, faster than you ever thought possible, by simply changing how you start your day? The Miracle Morning for Real Estate Agents beautifully blends strategy and inspiration in an enlightening parable from the bestselling authors of The Miracle Morning, (7L) The Seven Levels of Communication, and The New Rise in Real Estate. This book takes you on a journey into the lives of real estate agent Rick Masters and mortgage professional Michelle Phillips. Rick and Michelle face new challenges as the demands of their industry have left them stressed, overweight, and unfulfilled. Something has to change. They attend an event and meet other agents who have transformed their lives. Although Michelle is optimistic, Rick is skeptical. Little does Rick know, there really is a not-so-obvious secret that will transform your life in just 30 days. Discover it for yourself as you join Rick and Michelle on their life-changing journey. You’ll learn how 30 days from today YOUR life and business can be everything you’ve always dreamed. It’s your time to rise and shine! Tried all the network marketing tricks without results? Transform your routine to break through your current ceiling! You’ve read all the books on sales techniques, generating leads, and closing, but you aren’t making the progress you’d hoped for. What if you could make a few simple changes to increase your income, reduce your stress, and send your fulfillment through the roof? Start the next chapter of your career with a system that’s been time-tested by thousands of people worldwide. 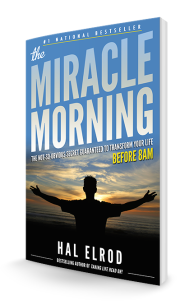 The Miracle Morning for Network Marketers uses Hal Elrod’s global phenomenon to show you habits you can adopt from the best performers in your field. By changing your strategies, mindsets, and rituals to match the top 1% of network marketers, you’ll grow yourself and your business faster than you ever thought possible. Once you’ve nailed down your Miracle Morning, Elrod and Petrini’s book shows you exactly what you should be doing with “the rest of your day.” When you apply these fundamental business building skills to your own network marketing, you won’t just get to the top… you’ll stay there. The Miracle Morning for Network Marketers is your key to making immediate and profound changes on the path to peak performance. Buy the book for the simplest, fastest path to network marketing prosperity. Need to find more time to write–without sacrificing the important things? Looking to consistently discover great book ideas? Wish you could generate a steady income from your words…or increase what you already make? How a morning routine can change every area of your life (including your health, happiness, finances, and relationships). The proven strategy for “finding the time” to write–even if you have a full-time job. Our method for selling lots of books (and the 8-step process to build it). Steve’s favorite app for tracking your great ideas and researching your next book. Hal’s process for overcoming the limiting beliefs that hold you back from success. “Flow state” and how it can forever eradicate writer’s block. 4 business models perfect for writers, how to get started, and which one we recommend. The 10-step process for publishing a book that readers love. 6 tools for improving your writing skills. 2 techniques for doubling (even tripling) your daily word count total. How to find the “80/20” of your book-based business. The Miracle Morning for Writers is your key to building a writing habit that will increase both your income and the value you provide to the world. Download your FREE The Miracle Morning For Writers resources HERE! Are you ready to truly LOVE the life you have while you CREATE the most extraordinary life you can imagine? This book gives you exactly what you need to do both! Taking Life Head On begins with the dramatic true story of Hal Elrod’s incredible triumph over tragedy, then gives you his powerful formula that is GUARANTEED to empower you to truly love every moment of your life while creating the life of your dreams. At age 20, Hal’s world ended when his car was hit head-on by a drunk driver. He died for 6 minutes, broke 11 bones, suffered permanent brain damage, and was told by doctors that he would never walk again. Yet, Hal was happy. So happy, in fact, that his doctors thought he must be in denial. Defying the logic of doctors and temptations to be a victim, Hal went on to not only miraculously take his first step just 3 weeks after being found dead and told that he would never walk again, but he would eventually run a 52-mile ultra marathon, become a hall of fame business achiever (at age 26), and an international motivational speaker, success coach, and #1 bestselling author. Bestselling books usually enjoy a brief time in the spotlight until their hype wears off and people move on to the next trend. If you’re an author, you want to have a book impacts millions of lives and earns you millions of dollars. Hal Elrod has not only succeeded in writing a #1 bestselling book, but he’s enjoyed its increasing — rather than diminishing — success over time, which is the opposite of typical publishing market tendencies. What’s the difference between a book that enjoys momentary success as a bestseller and one that continues to influence people for years to come? What’s the number one nugget of advice that can make this difference for the aspiring author? How can you build a ‘pay it forward’ element into your content? What is the most convenient way to assemble your readership community? Do you know what authors are finding to be the number one way to market their books once they’re launched? Ready to take the lead in your family and achieve your vision of ideal family life? 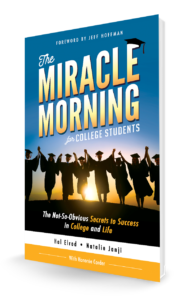 Hal Elrod’s ‘The Miracle Morning’ has helped redefine the mornings and the lives of millions of readers since 2012. Since then, careers have been launched, goals have been met, and dreams have been realized, all through the power of the Miracle Morning Life S.A.V.E.R.S. These six daily practices will fuel your efforts to create positive change in your life. And now, The Miracle Morning for Parents & Families brings you these Life S.A.V.E.R.S. in a whole new light, along with the not-so-obvious principles and the exceptional skills you need to create a loving and successful home environment. Mike and Lindsay McCarthy—two successful professionals who also lead an adventurous homeschool family—bring their wisdom and insight to you through Hal Elrod’s powerful Miracle Morning framework. Develop a deep and satisfying relationship with your children, and become the amazing parent you were always meant to be! Download your FREE The Miracle Morning For Parents & Families resources HERE! The Miracle Morning Art of Affirmations Coloring Book is a positive coloring book for adults and kids that brings to life the joys of combining affirmations with mindful artistry. READY FOR EXPLOSIVE GROWTH AS AN ENTREPRENEUR AND ACCELERATED SUCCESS IN THE REST OF YOUR LIFE? 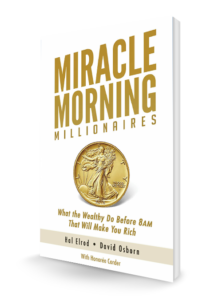 Hal Elrod’sThe Miracle Morning has helped redefine the mornings and the lives of millions of readers since 2012. Since then, careers have been launched, goals have been met, and dreams have been realized, all through the power of the Miracle Morning’s six Life S.A.V.E.R.S. THESE SIX DAILY PRACTICES WILL FUEL YOUR EFFORTS TO CREATE AND SUSTAIN POSITIVE CHANGE IN YOUR LIFE. Now The Miracle Morning for Entrepreneurs brings you these principles in a whole new light—alongside the Entrepreneurial Elevation Principles and the Entrepreneur’s Elevation Skills. These are essential skills that you need to create a successful business and personal life. Cameron Herold— Bestselling Author and a widely-respected expert on entrepreneurial mindset—brings his wisdom and insight to you using Hal Elrod’s powerful Miracle Morning framework. DEVELOP A VISION FOR YOUR BUSINESS, AND BECOME THE INFLUENTIAL AND INSPIRING LEADER YOU WERE ALWAYS MEANT TO BE. READY TO TRANSFORM YOUR RELATIONSHIP, CREATE YOUR UNSHAKABLE LOVE AND UNLEASHED PASSION? YES, IT TRULY TAKES ONLY ONE PARTNER TO TRANSFORM A RELATIONSHIP! What’s more, you do not need your partner to do the work with you or you to get the results you want. This is unlike any other “relationship book” you have ever experienced! Now The Miracle Morning for Transforming Your Relationship brings you the proven system used by thousands and thousands of people around the world to create their unshakable love and unleashed passion. Ready to get more out of college than just a diploma? Own your college experience and discover how to be present in every moment. Learn why mornings matter more than you think. Learn how to master your own self-leadership and accelerate your personal growth. Learn how to manage your energy—physical, mental, and emotional. Discover new skills and learn how to apply them to your academics, social life, health, post-graduation, and career. Build a college career that will influence and improve the rest of your life. What if the real secret of millionaires isn’t about doing more, but becoming more? The undeniable connection between mornings and wealth. Why becoming wealthy is never a sedentary pursuit. The simple five-step wake-up process that’ll guarantee you’ll rise early…like a millionaire. Four choices you must make to become wealthy. A revolutionary twist on affirmations…and how to leverage them in a way that will absolutely produce results. HowRearview Mirror Syndrome can significantly inhibit your financial growth. 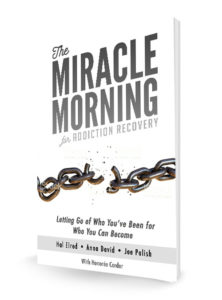 Why mornings are critically important to an addict’s success. Why who you’re becoming is more important than your current state. How the opposite of addiction isn’t sobriety. It’s this. How your alarm is a gift, challenge, and opportunity. The Five-Minute Five-Step Snooze-Proof Wake-Up Strategy. How the Six-Minute Miracle Morning can be the remedy for an overly packed schedule. Six of the most timeless, proven personal development techniques on the planet. Why if addicts don’t fix the gut, they can stay stuck. The difference between an “orchid” personality and a “dandelion” one— and how whichever you are determines how you behave and react. THE ONLY PLANNER YOU NEED TO ACHIEVE LEVEL 10 SUCCESS! WHY SETTLE FOR AN ORDINARY RELATIONSHIP, WHEN IT CAN BE LEGENDARY? The Miracle Morning for Couples uses Hal’s Life S.A.V.E.R.S. to put you on a path of personal development and growth, so you can show up for your relationship and get more joy, greater intimacy, and a lifelong friendship. How to pull all the pieces together to become a Legendary Couple! 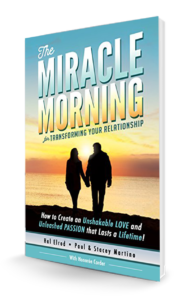 The Miracle Morning for Couples is your key to nurturing a fulfilling, lasting relationship with the one you love, and living a miraculous life together.